FriendGrief: "You have been - and always shall be - my friend"
Unless you live under a rock, you know that actor Leonard Nimoy, the Vulcan first officer Mr. Spock on the original Star Trek series, died at the age of 83. And though he was surrounded by his family when he died, they were not the people the media reached out to first. They were not the people his long-time fans wanted to hear from. They wanted to hear from his friends. 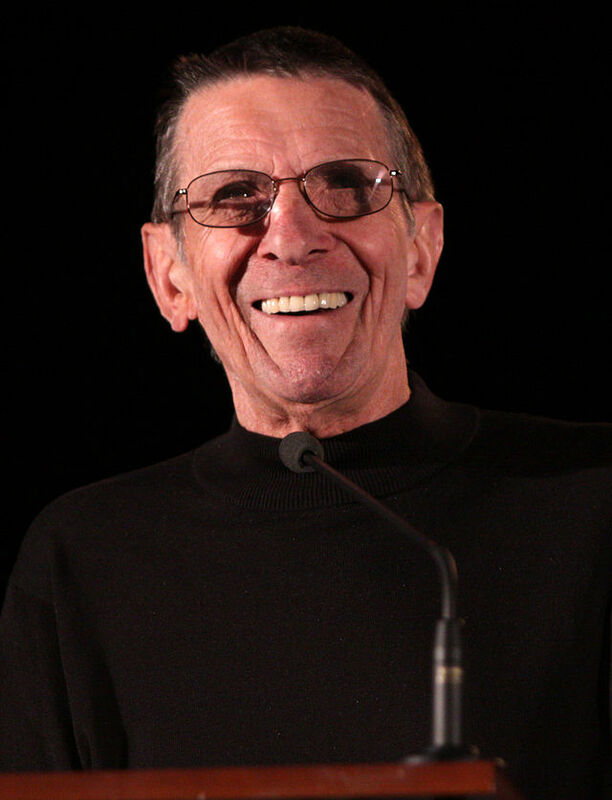 Most of those who were interviewed were former cast-mates on Star Trek, along with others who worked with him in his impressive career on stage, television and film. Many found it challenging to express their grief for a man they counted as their friend for decades. Not everyone – even celebrities – can be eloquent when a friend dies. I’ve written about the backlash against Paul McCartney’s “It’s a drag” comment after John Lennon was murdered. He attributed his words to the shock of hearing the news just hours earlier. There are those now criticizing William Shatner, Nimoy’s co-star on Star Trek, because he honored a previous commitment to appear at a fundraising event rather than attend his friend’s funeral. “He was a true force of strength and his character was that of a champion.” – Nichelle Nichols. Even the astronauts on the International Space Station – and remember, that many of them were inspired by the ideals of the original Star Trek series – paid tribute to Nimoy and his unique character on the show. Why don’t you say those words to someone today? PS-Thanks for posting this. I grew up watching Star Trek and always got a kick out of Mr. Spock. Like many people, I heard about Leonard Nimoy (Spock from Star Trek) died on February 27, 2015. He was my favourite actor from the Star Trek TV series and Star Trek movie series, second only to George Takei (Sulu).